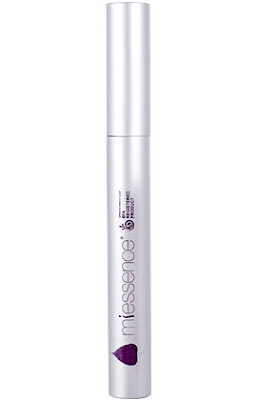 The Lavender Experiment: It's Time... Organic Mascara, Here I Come! Sorry for the break in transmission, folks. The smalls have been sick with colds this week and we're all feeling a bit under the weather. I plan on picking up some Olive Leaf Extract over the weekend to see if we can boost our immune systems before winter. Ergh. Anyway, my trusty tube of Natio Black Mascara is about to run out, and as I mentioned a while ago ,I've been on the hunt for an organic or natural mascara for aaages. So it's time. I've done a bit of reading and decided to buy a Miessence Organic Mascara. I'm inordinately excited! There are actually quite a lot of products out there, which is nice to see. They each seem to have a similar list of ingredients, with minerals providing the colour and jojoba oil and other essential oils helping to condition the lashes. There were a few that included almond oil which is a no-go for me (gives me itchy eyes) but the Miessence looks the goods. I'll be sure to let you know how I go!